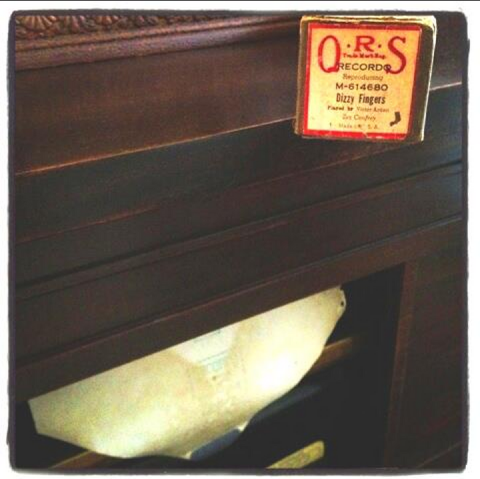 Went out over the weekend and came up slap empty on finding any 78s (worth getting that is). Did manage to snag a few piano rolls though. Here's a QRS roll of Zez Confrey's composition Dizzy Fingers played by Victor Arden. toe-tappin', "air-ticklin'" fingers, and rhythm in my bones. So much better than just hearin' the sound. preservation of these rolls are a must, and the pianos to play them on. Thanks for rescuing the goods.